This picture is of Rockefeller Center’s First Tree in 1931. 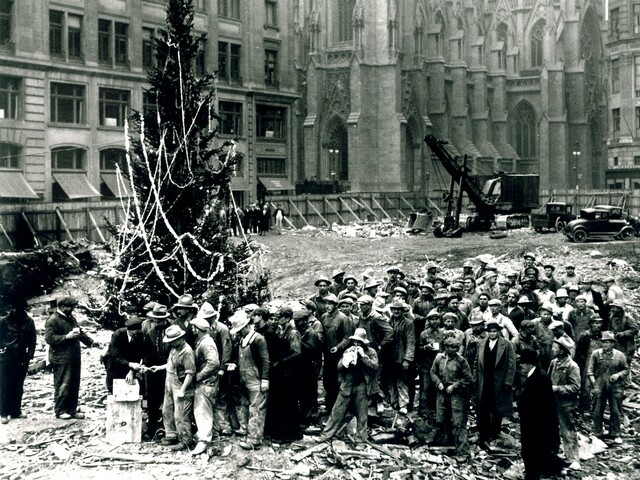 Although the Rockefeller Center Tree Tradition didn’t officially begin until 1933, on December 24, 1931 these construction workers decorated a 20-foot tree for the holidays. 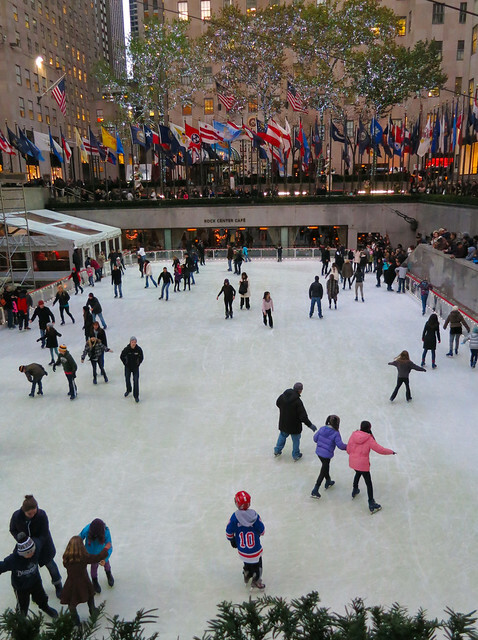 The mess in the background is Rockefeller Plaza under construction. 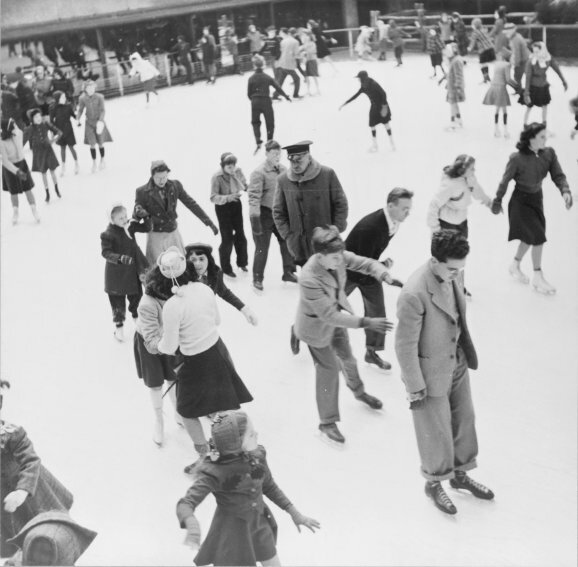 In 1936, this area became the ice skating rink. 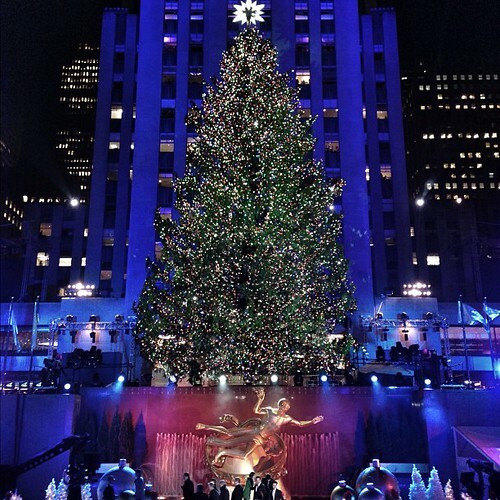 Below is a picture of this year’s 80-foot tree! Cesidio Perruzza arrived 1906 New York from San Donato Val Di Comino FR. Italy. He was an excavation forman working for the George J. Atwell company. Cesidio was an explosives expert hired to excavate foundation spaces for many New York buildings including Rockefeller Center, UN building, Frick art collection vault 70th & 5 ave. US Post Office NYC, MOMA. In 1931 he worked at Rockefeller center. There is a famous photo of the the first tree there. It is a photo of workers being paid in the construction site. Cesidio is the forman, 3rd in line, with a hat looking down at his watch in his hand. The tree was decorated with chewing gum wrappers and blasting cap tins and popcorn. My uncles said he brought the tree from NJ and said it was a “thank you” from the workers for being given work during the depression. So interesting! Thank you for your wonderful contribution to this post!